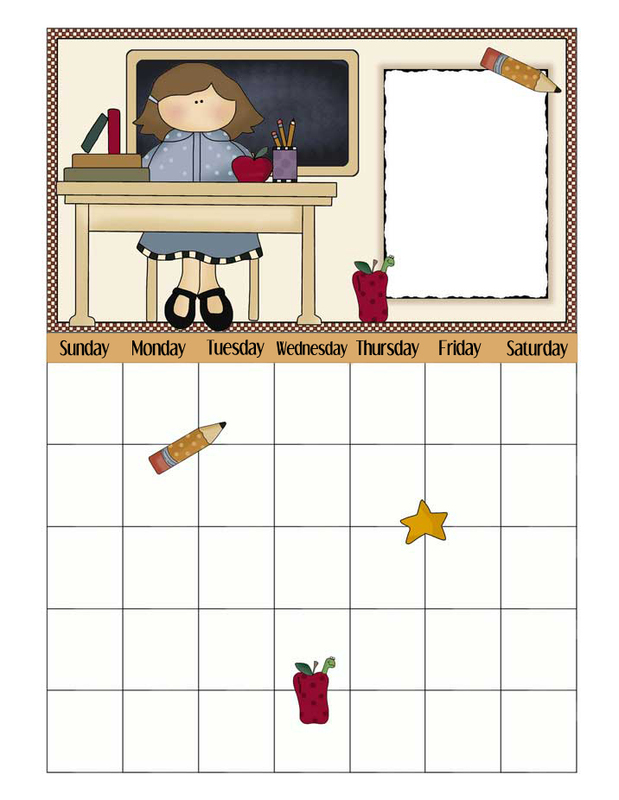 Print a school-oriented printable calendar. Blank calendar to print for September. Features a teacher behind a desk with books and apples.